In China, there are a few entirely different breeds of manufacturers you can work with. One of them in the contract manufacturer (CM). Working with a CM makes sense when you purchase relatively high volumes (e.g. more than 10,000 pieces a year for electronic products). You will get the best results in cost and quality with a CM. The buyer is expected to own the design and to pay (and own) the tooling. The buyer can sometimes negotiate for visibility over the supply chain, which reduces many of the risks. Better control of the situation as a whole – cost, quality, and timing. Change from one CM to another is a relatively standard process. The CM generally accepts a certain amount of manufacturing-related liability. There is more R&D work. Time to market is usually longer. The testing and validation plan should be defined from scratch and adjusted over time. However, there are different breeds of contract manufacturers. Not all will be a good fit for your company. Here are the key questions you need to answer before starting to look for a good CM. 1. What quantity are you planning to order in the first year? In the second and third year? A large CM would not both with a customer that orders small quantities. They typically have a relatively heavy onboarding program a new customer, including setting up the production & testing processes, confirming what standard they agree with, and so on. Another issue is, they are much more interested in continuous production (dedicated lines that are set up once and then keep running) than in start-and-stop jobs. A smaller CM is a better fit if you are starting from a low position and you can’t confirm to order many thousands of pieces a month in the near future. 2. Do you need production in a high-volume, low product mix setup? If you want just 1 or 2 SKUs to be made in the tens or hundreds of thousands of pieces, most CMs will be very excited to get your business. And then it becomes a game of cost control and transparency (see next point). If, on the other hand, you have a variety of SKUs to manufacture in relatively low quantity, the challenge will be finding a factory that is optimized for flexibility. 3. Do you expect transparency on the component suppliers? Some buyers want a ‘turnkey solution’ and have no interest in the details. Other buyers want more control over their supply chain and require visibility all the way through. For example, Ikea knows what forests many of the wood materials going into their furniture come from, and they use that information to guarantee a level of sustainability but also to drive improvements in their supply chain. This is an extreme example, but at the very least do you want to know who supplies the main components going into your product? Not all Chinese suppliers can accept to be transparent. Have this discussion early on. 4. Is protection of your intellectual property extremely important? If the answer is yes, you can’t take the risk of working with a potential competitor. Some importers discovered, to their horror, that their ambitious ‘manufacturing partners’ had decided to expand into more profitable activities and had started selling directly on their market… and were making good use of what they had learned (design, production process, software, and so forth). This is more likely with a Chinese-owned CM than an American-owned CM, and with any hard-driving and reckless business owner in general. 5. 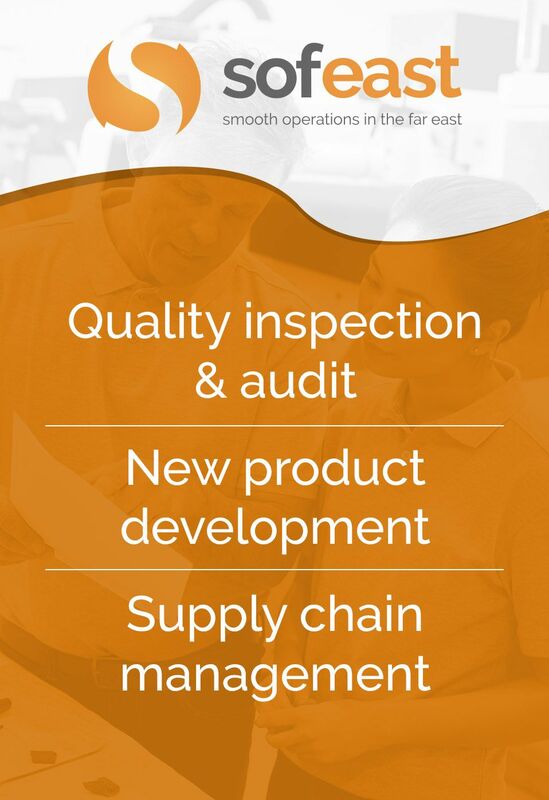 Do you expect the CM to help you with product development? With compliance? You will need to look at their engineering capabilities. The more you can rely on their internal resources, the cheaper your new product development will be. When it comes to compliance, look at their past experience making similar products for your market. Ask questions to test their understanding of legal requirements and how to address them. They might have been selling a similar widget to the US, but their American customer might have been handling that process from A to Z! What processes do they have in-house? The more a typical CM does in-house, the more control they have over timing and quality… and the better the results. However, it is usually cheaper when the assembly plant buys parts from smaller factories that are focused on just one type of process. Expect higher prices if you purchase from a vertically-integrated plant. It doesn’t necessarily make sense conceptually, but that’s what have observed again and again in China. If they buy some critical components from outside, see if they already buy the same components (same grade, etc.) for their other customers. Pooling all their purchasing power gives the CM more power to negotiate quality, timing, and other key terms with their suppliers. You will need to look at their internal testing laboratory (if any). Do they have the right equipment? Does it all seem to be in good condition? Can they speak intelligently about the key tests, their roles, past failures they caught, and their reaction plan? Also, ask about the transparency of their internal QC activities to their customers (in 99% of cases, there is no automatic transparency). Observe the way they work, guess the speed at which issues would typically be caught, and look for evidence of quick feedback to the production process (or the sub-supplier) at the origin of the issue. Do they have elaborate in0line testing equipment? Do they do it themselves, was it all designed by a sophisticated customer, or is it subcontracted to a specialized firm? 9. What level of liability do you expect from your CM? In China, the default approach is ‘once it has been shipped out and full payment has been wired, supplier bears no responsibility”. And, in many cases, Chinese CMs think and behave this way. Is this what you want? What if you have to recall an entire batch of products because of battery problems? Who will absorb that cost? What if a customer takes your company to court because of a manufacturing problem. Who will be responsible for this in the end? What if they infringe on your intellectual property? In other words, can the CM accept to sign a contract that would be typical in the West? Or will they cling to what they consider is ‘standard’ in China? 10. What payment terms can they offer? One great approach to hold the CM responsible is to delay all, or a portion of, the payments. If issues happen, chargebacks are simply deducted from the balance payment. It can be very hard to negotiate. The company that does assembly usually has to pay for components and materials long before shipment. But 30 to 60 days net payment after delivery will help your business immensely. You can scale it up much faster with the same amount of working capital. To increases your chances of getting this type of deal, you will probably need to demonstrate strong financial backing, as well as a strong position on your market. And you need to be good at ‘selling’ your project and getting CMs excited. Again, do you want to go with the usual FOB terms that are so common in China? It makes sense for the buyer to control shipment and have visibility over the entire inventory. If you can really trust your CM, they can ship to you in DDU or DDP terms (all the way to your warehouse). It is more convenient for the buyer. I hope this list is useful if you are looking for a contract manufacturer. There are some very good options in China, and not only for electronic products. Large CMs are not the best fit if your orders are not very large. It can be difficult to find a smaller CM since they are less well-known and have less marketing punch, but it is not impossible. 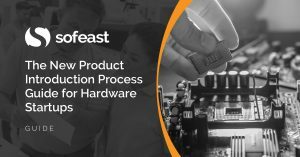 Interested in learning more about the new product introduction process for hardware startups?